We provide comprehensive tree damage investigations and tree subsidence reports for businesses, homeowners and the public sector. 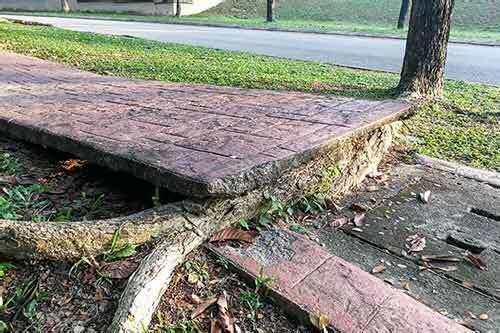 There are a variety of ways in which encroaching trees and their roots can affect the integrity of nearby buildings, their foundations and surroundings. For example, damage may be caused directly, mechanically, or by the incursion of roots into or against structures. Sometimes, the effect of nearby trees is indirect, caused by the effect that growing trees have on the soil, moisture content and composition. Apex Environmental assess a broad spectrum of current or potential threats caused by trees and other local features. We report on the likely outcome of their presence on your property. Get in touch with Apex Environmental today to find out how we can help you with tree damage issues.